Not at all…….This is wrong…. The Sierra Nevada people need to kick their program into HIGH….. The shuttle Atlantis is poised for its final scheduled mission—the delivery of a compact Russian docking and laboratory module to the International Space Station. Liftoff from Kennedy Space Center is set for May 14 at 2:20 p.m. EDT initiating a 12-day flight. The spacecraft’s six-man crew has trained to deliver Rassvet, or “Dawn,” a 23-ft.-long compartment that will open a fourth docking port on the orbiting lab for the Russian Soyuz and Progress capsules that will continue to come and go long after Atlantis, then orbiters Discovery and finally Endeavour, complete their final flights by year-end. During three spacewalks, the crew also will overhaul the station’s oldest solar-power module with new storage batteries and install a backup high-data-rate communications antenna. Other supplies delivered by Atlantis and upgrades planned by the astronauts will prepare the orbital outpost for operations well beyond the shuttle’s retirement. “It’s a soul-searching moment right now,” says astronaut Ken Ham, the U.S. Navy captain who will command the 25-year-old winged orbiter on its 32nd space voyage. In a harbinger of things to come as the program winds down, last week shuttle contractors shed 800 workers from hardware production, launch and landing support, as well as the spare parts depot, shrinking the national shuttle workforce to 10,700, according to John Shannon, NASA shuttle program manager. ‘Men in Black III’ coming to a movie theatre close to you in 2012……. The guys in the black suits…..
Can you image the Special Effects???? The Movie will be in 3-D……. Hold on a second while I put on my sunglasses. [Pause] Okay, here we go. Now, I’m just going to hold this little device up to your eyes, and you’re going to see a tiny flash. And then you know what’s going to happen? You’re going to forget thatMen In Black II ever happened. So now that we know they’re all back together, the question is……. 'Men in Black III' coming to a movie theatre close to you in 2012……. The Air Force unmanned miniature shuttle spacecraft will stay in orbit for up to 270 days…. Though the 11,000-pound vehicle–about 29 feet long, with a wingspan of just under 15 feet–is designed to stay in orbit for 270 days, the exact duration of its first flight hasn’t been revealed. Upon completing its first mission, the Boeing-built X-37B is due to touch down at Vandenberg Air Force Base in California……..
Congress may not go along with Obama’s plans for NASA…and they pay the bill……. The President last week outlined how he wanted to cancel the Orion manned space system…..and shut down the Space Shuttle as planned….. But those two moves mean that the United States will not a means to transport people into space for 5 to 7 years…. And more to the point that thousands of people supporting those programs…and suppliers will lose their jobs…. They will not hire anywhere near the number of people employed by NASA programs…. Those soon to be unemployed people vote and pay taxes…..
And Congressmen listen to that…..
President Obama may have hoped that a speech a week ago at the Kennedy Space Center would sway skeptics to his proposed space policy, but a Congressional hearing on Thursday gave little signs that the lines of contention have shifted yet. Opponents like Richard C. Shelby, the Republican senator from Alabama whereNASA’s Marshall Space Flight Center has been leading the design of the Ares I rocket that the Obama administration would like to cancel, continued to denounce Mr. Obama’s plans. Those plans call for ending NASA’s current Constellation program that was to send astronauts back to themoon and turning to private companies for transportation into orbit. At a hearing of an appropriations subcommittee, Mr. Shelby said that the proposal would abdicate the United States’ leadership in space. “Future generations will learn how the Chinese, the Russians, and even the Indians took the reins of space exploration away from the United States,” said Mr. Shelby, the ranking minority member of the commerce, justice and science subcommittee. He criticized the space agency for not researching whether a commercial market existed beyond NASA to support the companies. Maj. Gen. Charles F. Bolden Jr., the NASA administrator, repeated many of the same points he had made to other Congressional committees: that NASA would ensure the safety of any and all rockets that astronauts would ride on and that the current Constellation program was unsustainable. Congress may not go along with Obama's plans for NASA…and they pay the bill……. It turns out that an experiment set to go on the last trip won’t be ready by that date…. So……The program shut down will be delayed…..
And it turns that Congress was aware of this and put an extra $600 million in NASA’s budget to pay for any delay’s…. Maybe they’ll put some more in it for more flights? A $1.5 billion seven-ton cosmic-ray experiment scheduled to be carried aloft July 29 on the space shuttle Endeavour won’t be ready until August, according to the experiment’s leader, Samuel Ting, of the Massachusetts Institute of Technology, delaying the end of the 29-year-old shuttle program. NASA officials acknowledged that there would be a delay but said they had not yet decided when the final launching would be. The experiment, known as the Alpha Magnetic Spectrometer, was to be installed on the International Space Station as one last scientific errand before the final shuttle launching, of the Discovery, now scheduled for September 16. Last week, however, Dr. Ting told NASA that he would replace a key component of the spectrometer, a powerful superconducting magnet, with an ordinary magnet. The redesigned instrument would not arrive at the Kennedy Space Center until August. It would be too late for July and is not a part of the final Discovery mission. “We have an issue,” Dr. Ting said in a telephone interview from CERN, in Switzerland, where the instrument was built. NASA officials said they had not made any decisions on a new shuttle schedule this fall, including whether to switch the last two flights so that Endeavour’s flight would be the finale. “That launch is still where it is,” said Kyle Herring, a spokesman at the Johnson Space Center in Houston. Asked about a possible delay at a news conference after the recent landing of Discovery, Mike Moses, director of shuttle integration at Kennedy, said that the agency was still looking at the potential impacts to the shuttle schedule, “but we’re still looking to finish this calendar year.” The cost of extending shuttle flights past September into the winter has already been covered by Congress, which allocated $600 million to cover potential shuttle operations in the first quarter of fiscal year 2011, in case the schedule slipped. “So it doesn’t matter if it’s one flight or two flights,” Mr. Herring added. 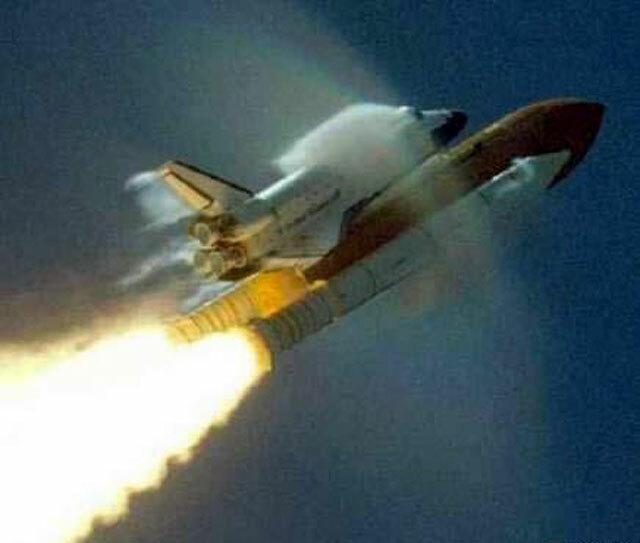 They are now in the unmanned space shuttle business on their own…..
NASA has only few more manned Shuttle Flights before they shut down operations sometime this fall…. At that time the United States of American will be unable to place a human is space for the forseeable future….. Private space travel will be the next step for the United States…. (HL-20 ) that has been tested…but abandoned by NASA in favor of the soon to be deactivated Space Shuttle…..
Sierra Nevada has been awarded $20 million to future develop its space plane system…as the President undoubtedly knows……..
CAPE CANAVERAL AIR FORCE STATION, Fla. — The 45th Space Wing successfully launched a United Launch Alliance-built Atlas V Evolved Expendable Launch Vehicle from Space Launch Complex 41 at 7:52 p.m. (EDT) today. The Atlas V rocket carried the X-37B Orbital Test Vehicle (OTV), making its first space flight. The X-37B will provide a flexible space test platform to conduct various experiments and allow satellite sensors, subsystems, components and associated technology to be efficiently transported to and from the space environment where it will need to function. A number of new technologies will also be tested on the OTV itself. “If these technologies on the vehicle prove to be as good as we estimate, it will make our access to space more responsive, perhaps cheaper, and push us in the vector toward being able to react to warfighter needs more quickly,” said Mr. Gary Payton, Air Force Deputy Under Secretary for Space Programs. The mission marked a number of important firsts. Ok…..My question is…why are they closing out this program???? 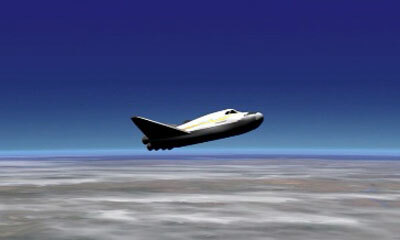 Showing its flexibility and capacity to haul oversized cargo into space. Why shut this down when you have nothing to replace it? The space shuttle Discovery returned to Earth with a fiery dawn plunge across the heartland of America Tuesday, closing out a complex space station resupply mission with a smooth Florida landing. Running a day late because of cloudy weather, Navy Capt. Alan G. Poindexter took over manual control at an altitude of about 50,000 feet above the spaceport, guiding the shuttle through a sweeping left overhead turn to line up on Runway 33. Following a steep descent, Capt. 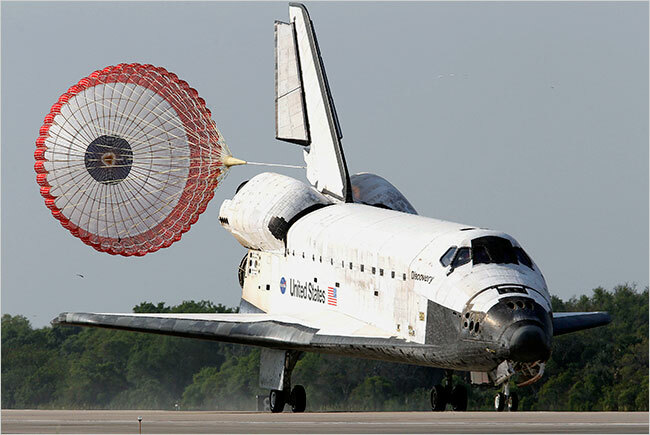 Poindexter pulled Discovery’s nose up just before the runway threshold, Air Force Col. James P. Dutton, the pilot, deployed the landing gear and the shuttle settled to a tire-smoking touchdown at 9:08 a.m. Eastern time. “Houston, Discovery, wheels stopped,” Capt. Poindexter radioed after the shuttle rolled to a stop. Re-entry was delayed one orbit because of showers and concern about fog near the shuttle runway. But as dawn broke over the Florida spaceport, conditions improved and Bryan C. Lunney, the entry flight director, cleared the shuttle for a descent to the Kennedy Space Center, avoiding a diversion to California’s Edwards Air Force Base.